I’m sitting here at my home studio and if you look behind me there is something different – I feel a little excited! About a week ago I took delivery of these Trio 11 Be speakers!. As you know we recently tested some Focals and the thing that I enjoyed about them is that even after using some correctional software, the high-end was really super smooth. When I went back and asked them why their high-end even super flat still sounds smoother than a comparable speaker, they said to me “it’s the Beryllium Tweeter“. We have these speakers- they are not cheap, and they’re powered and really smart. Last night we were cranking all kinds of amazing music through it and I’ve had a wonderful time on them. Not only are they really good sounding speakers, but they also have a really wonderful extra attribute that makes them incredibly useful,- We’ll get to that below! Let’s talk a little technical for those who understand this stuff. They have a 10-inch Subwoofer and if you look to the outside, you will see that they are ported there and around a 5-inch midrange, and above that is the infamous 1-inch Beryllium Inverted Dome Tweeter. One of the things I like to do is listen and use equipment. To me, that is far more important than a lot of the scientific ways of doing things. In this room I’ve used Genelec’s 1032s and loved them for years, NS 10’s that I’ve had those for years and, Kali’s which I love for the value for the money, great reviews all around incredibly inexpensive. Then I’ve had the newer Focals which we’ve been loving. When you have been working as I have in the music industry for like 20 nearly 30 years, you want to enjoy the listening experience. You want the detail. You want to be able to mix really well on them, but you also don’t want to be fatigued after only 3 hours. That was always the complaint against NS 10’s. I know some guys that absolutely hated NS10’s, but then there are guys like me that grew up using NS10’s and loved the aggression, loved hearing the way a snare sounded, and loved the way a guitar sounded! When you knew they were offensive they were great. Now frankly I want accuracy and I want “un-fatiguing” and that’s why we are trying these out! Those of you who have been following Produce Like A Pro know that I pride myself on trying to show all kinds of cross sections of things! We have championed inexpensive equipment all the way up to expensive. These are definitely the most expensive pair of speakers we have ever tried! Over the last few days of using them, I’ve been really enjoying them! There is no hype about them to say they live up to cause they’ve just come out. It’s really exciting to be able to reference this kind of thing! Now don’t get me wrong, we have done iLoud’s, we’ve even sent their sale info to all our customers cause they were selling for half the price! We’ve also done the Kali’s which we love, are super inexpensive, and have been really good. What I did is choose music on Spotify that I recorded and mixed in this room, especially music that I mixed in this room! One of the albums that I am very proud of and I like the sound of is Trevor Hall. Trevor is very very talented and what I like about this, and it will please the purist, is that there are no drum samples, and there is no heavy editing! It’s a completely performance-based album. On Spotify, Trevor Hall – “Green Mountain State” has 22.5M plays! Trevor played all the instruments and sang! It was fantastic. But the reason I love this song is the floor tom. You will not be able to hear it in this little lapel mic but there is something really fun about these speakers! 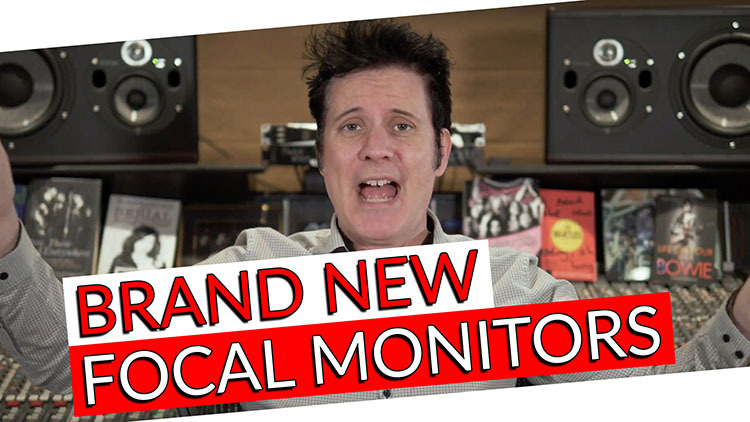 It’s not easy to show you what these speakers sound like if you don’t have them, so I’m going to do my best to describe that to you in the video below!